After lot of study, research and tests we come to a conclusion that the 1byOne Shiatsu massage pillow is the ideal one. 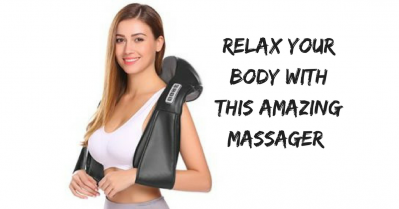 It massages your body parts just like a natural Shiatsu massage. Why is 1byOne Shiatsu massage pillow an ideal one? All the above benefits discussed by a normal Shiatsu massage are also provided by 1byOne Shiatsu massage pillow. Don’t you have a bad back or leg ache when your work doesn’t involve physical movement? Does it hurt when you are sitting at a single place for a long time? Aren’t you lazy to wake up early in the morning to do some exercise to loosen up your muscles? When you have to drive for long hours and body stars aching real badly? We all do need breaks so that we can pamper our body like we but due to our busy schedules and laziness we don’t pay attention to the negative symptoms our body shows like back pain and leg pain due to continuously sitting at one place for work and no physical exercise.